Eggnog frosted snickerdoodles are an easy snickerdoodle cookie recipe topped with eggnog frosting. This is the perfect Christmas cookie recipe! However, I don’t count making eggnog into dessert part of the drinking allowance, thank goodness. 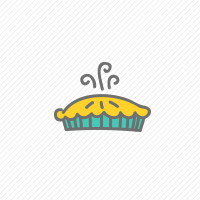 Which means I get to eat as many eggnog goodies as I want…all season long. That’s a good thing, because I made eggnog frosted snickerdoodles. The snickerdoodles are lucky they even got the eggnog frosting – I wanted to just take that and a spoon to the couch to watch Christmas movies. Are you watching Christmas movies yet? Jordan started as soon as Halloween was over. Actually, I’m lying. She’s been watching Elf all year long, it’s just more socially acceptable to admit it come November 1. For some reason, every time I pour myself a glass of eggnog I think of the scene in that movie between Clark and Eddie in the living room talking about the kids and drinking eggnog from moose head cups. Which kind of brings me back to wanting to just eat this eggnog frosting in front of the TV while I watch that movie. I seem to be really obsessed with this frosting. I mean, it’s really good. Really, really good. It smells and tastes like Christmas, if you ask me. And then you pair it with a snickerdoodle cookie? I just can’t handle it. I need a batch of warm eggnog frosted snickerdoodles immediately. 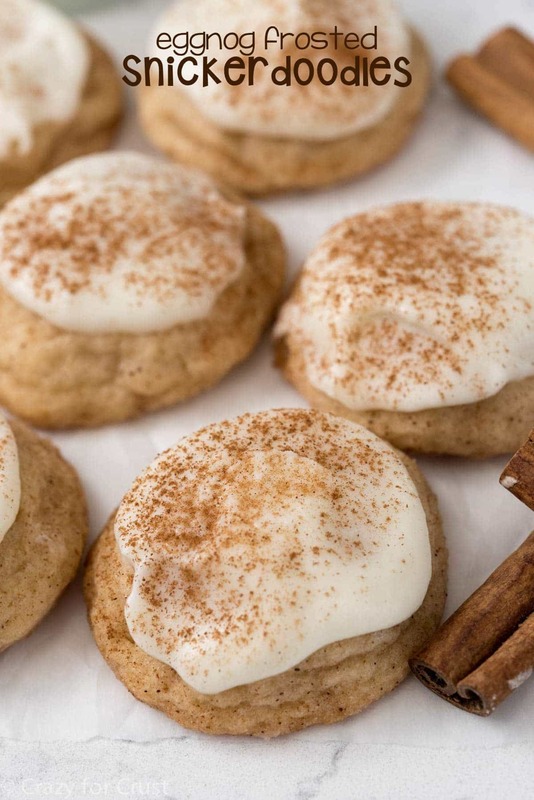 When you mix the eggnog with some powdered sugar, it makes the most delectable holiday frosting that pairs so well with the cinnamon spiced snickerdoodles. I made these snickerdoodles from my favorite sugar cookie recipe. 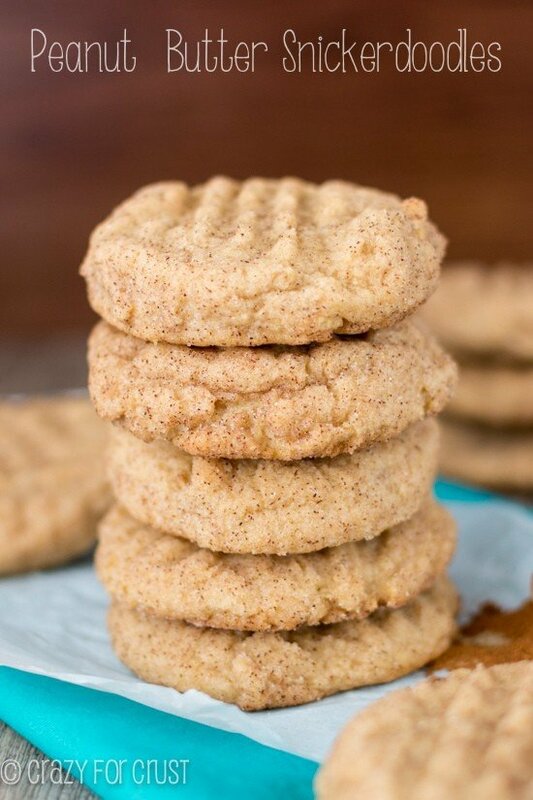 They’re light and fluffy and chewy all at the same time, just like a snickerdoodle cookie should be. 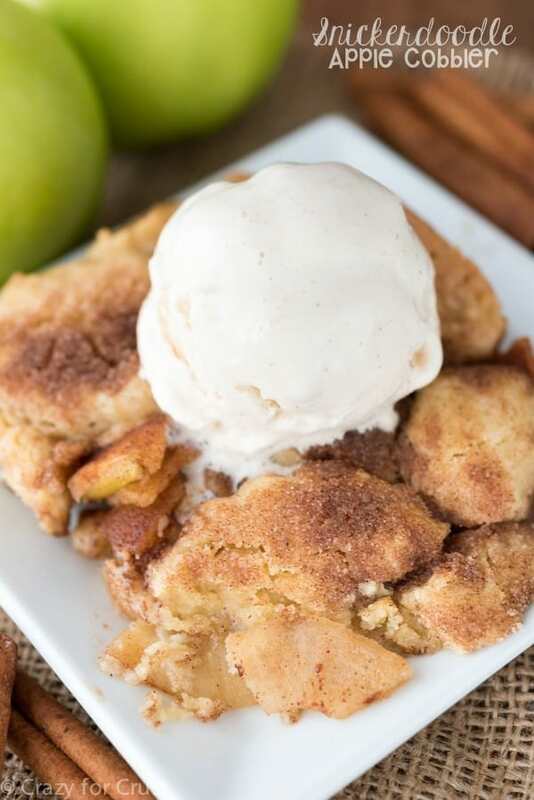 The cookie dough is rolled in a cinnamon sugar mixture, then baked. Once they’re cool you frost them. I don’t know why I never combined snickerdoodles and eggnog before, because the flavors complement each other so well. This is the perfect cookie for a holiday party or a cookie exchange. Or you can keep them all to yourself and binge watch Christmas with the Kranks. 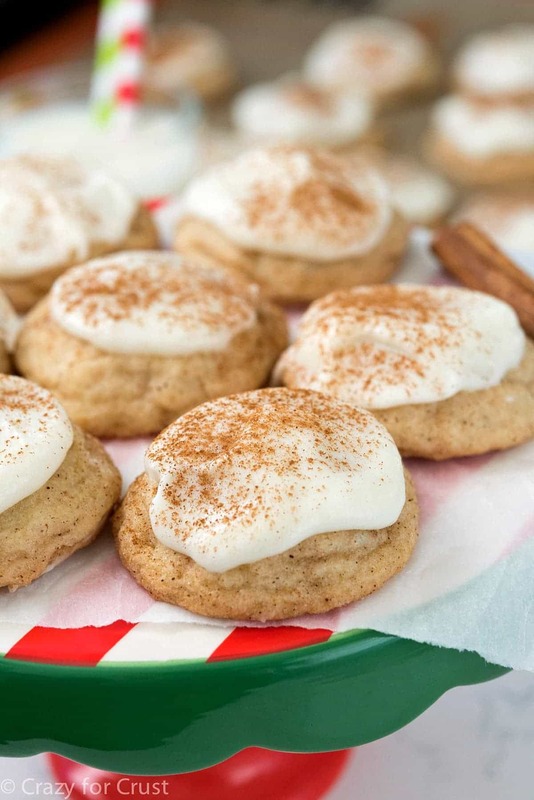 These Eggnog Frosted Snickerdoodles are the best Christmas cookie! A chewy soft snickerdoodle is topped with eggnog frosting. The best! Preheat oven to 350°F. Line two cookie sheets with parchment paper or silpat baking mats. Cream butter and 3/4 cup granulated sugar using a stand or a hand mixer until fluffy. Mix in egg and vanilla, then mix in baking soda, cream of tartar, and salt. Slowly mix in flour until dough is combined. Place remaining 1/2 cup granulated sugar and 1 teaspoon cinnamon in a small bowl. Scoop 1 or 2 tablespoon sized cookie balls and roll them in the cinnamon sugar mixture and place on cookie sheet. Bake 1 tablespoon sized balls for 9-11 minutes or until the bottoms just start to turn golden. (2 tablespoon cookies will take a little bit longer. Be careful not to over bake!) Let cookies cool completely before frosting. To make frosting: beat butter until smooth with a hand mixer in a large bowl. Slowly beat in powdered sugar until mixture is crumbly. Add salt and 1 tablespoon eggnog. Mix, adding more eggnog as desired for spreading consistency (about 2-3 total tablespoons). Frost cookies, sprinkle with cinnamon, and chill to set frosting. Store loosely covered in an airtight container for up to 3 days or freeze for up to one month. Visit the International Delight website and tell how ID helps them capture the spirit of the season for a chance to win a holiday brunch for friends and family hosted by International Delight! I have no words. Except that I need one of these!! I’ve never even tasted eggnog! I can’t believe that. Dorothy, I love the eggnog frosting on these cookies! 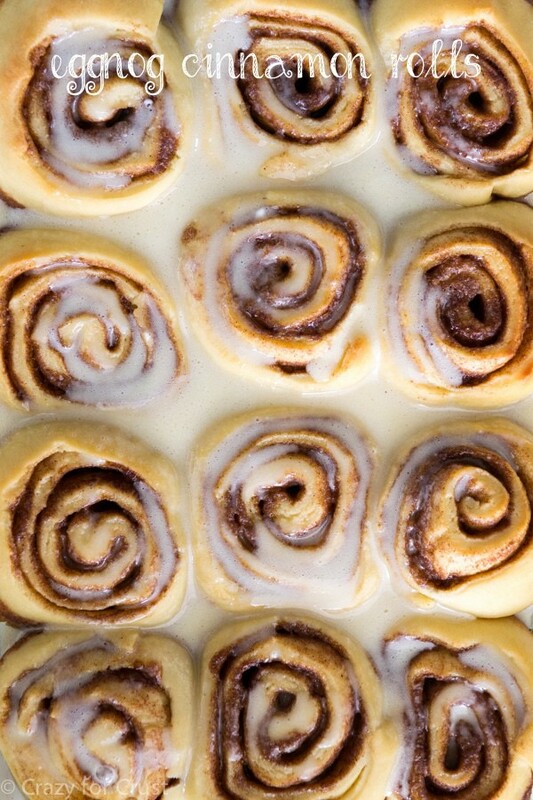 Can they go in the freezer with the frosting? Yes! I actually froze and unfroze them and they’re just fine. Enjoy! 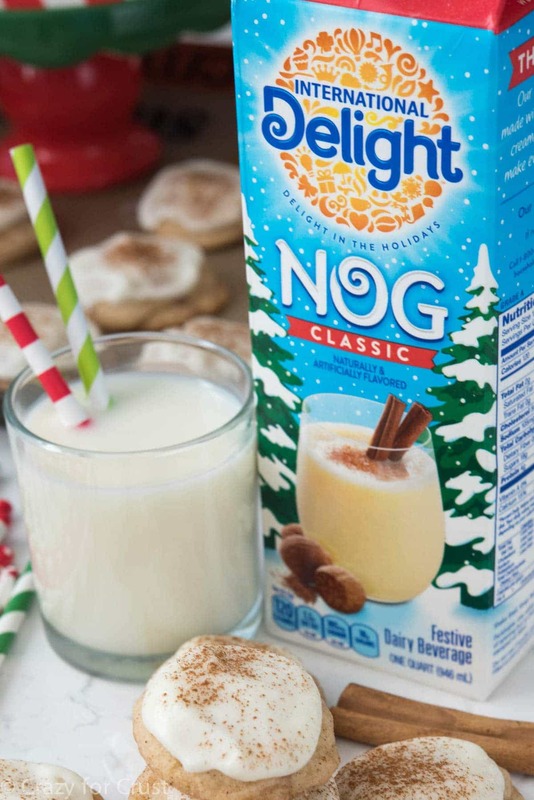 I love Snickerdoodles and eggnog, but never thought of eating them like this! Sounds lovely! Egg nog and snickerdoodles are two of my favorite holiday flavors! I need these, like now! I noticed that in the ingredients, you listed sugar as 1 1/2 cups, but in the directions you said to mix 3/4 cup with the butter for the actual cookie. Then the other 1/2 cup for the cinnamon/sugar topping. Where would the other 1/4 of a cup of sugar be? Mine were flat and melted together 🙁 could I have over mixed? Eggnog frosting is a delight ! I used almond fresh eggnog and it was fantastic.